Leitrim GAA announce three-year deal with Carrick-on-Shannon based company for "Avantcard Páirc Seán Mac Diarmada"
Leitrim GAA announce Páirc Seán Mac Diarmada to become "Avantcard Páirc Seán Mac Diarmada"
Leitrim’s County ground Pairc Sean Mac Diarmada will be known as “Avantcard Páirc Seán Mac Diarmada” from January 1, 2019 after it was announced on Monday evening that Carrick-on-Shannon based company Avantcard are the new official sponsors of the Leitrim GAA County grounds. In a press release announcing the details, Avantcard confirmed that they have signed a three year sponsorship deal, which will run for the 2019-2021 seasons, to become the official title sponsor of Páirc Seán Mac Diarmada. Páirc Seán Mac Diarmada follows in the footsteps of Breffni Park in Cavan, MacHale Park in Castlebar, Dr Cullen Park in Carlow, the Athletic Grounds in Armagh, Pearse Park in Longford, Wexford Park in Wexford, Cusack Park in Mullingar, O’Connor Park in Tullamore and Ruislip in London in acquiring a sponsors name. Speaking to the Leitrim Observer on Monday evening, Chris Paul, Avantcard’s CEO said “Avantcard is absolutely delighted to be partnering with Leitrim GAA to become the official sponsor of Páirc Seán Mac Diarmada. Leitrim is a proud GAA county, with strong roots in every local community. “Páirc Seán Mac Diarmada holds a special place in the heart of the local community and protecting this was very important to us and to Leitrim GAA. This heritage and provenance will be maintained in the newly sponsored stadium, which will become known as 'Avantcard Páirc Seán Mac Diarmada'. Leitrim GAA County Board also welcomed the news - “We are delighted to have a Leitrim based company showing the confidence in Leitrim GAA to come on board to partner with us for the coming seasons. This new sponsorship will be a boost to Leitrim GAA as we ramp up our preparations for the season ahead. “Avantcard is a local business, rooted in the community with strong links to the GAA. We see this as a great opportunity to work together and feel there are plenty of ways that we can complement each other, and we will work together to achieve that." 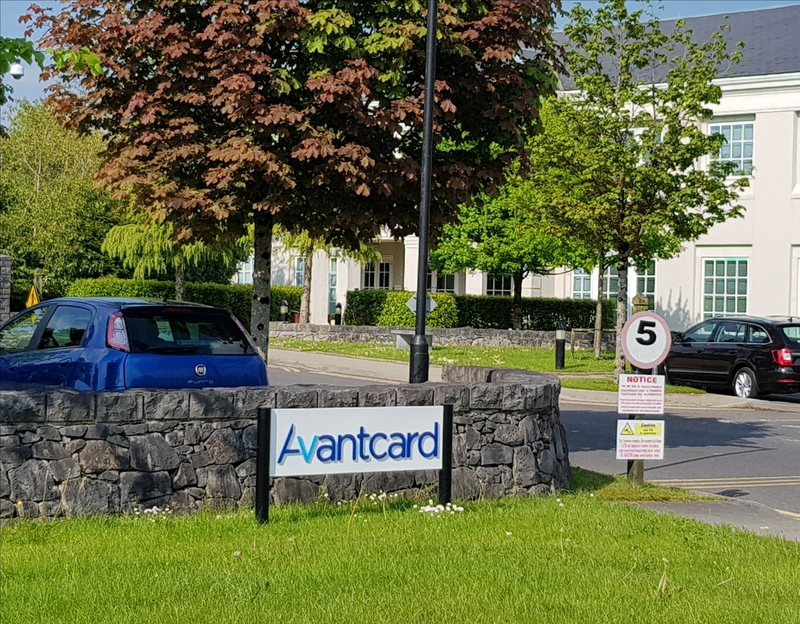 Mr Paul stressed that Avantcard’s decision to sponsor Leitrim GAA shows the company’s strong support for local communities - “We are excited to publicly show our support to both Leitrim GAA and the local community. We feel this is a natural fit given our base as a local employer. “Avantcard is committed to supporting people and projects locally, and with this new partnership with Leitrim GAA, we are showing our commitment to the community, to the organisation and our local athletes. An official launch will take place in the coming weeks to mark this exciting partnership in Leitrim GAA history, with more details to follow.